Update: It has been confirmed that the image in question comes from a book published by Kadokawa/Media Factory. While this publisher does release official Nintendo works, the particular book in question is not an officially licensed release and instead depicts the author's imagination of how Kirby might look. Original Article: Oh Kirby, you wonderful blob of joy. From his own cute and colourful adventures to his hammer-swinging, face-bopping antics in Super Smash Bros., Kirby has been melting our hearts for years. 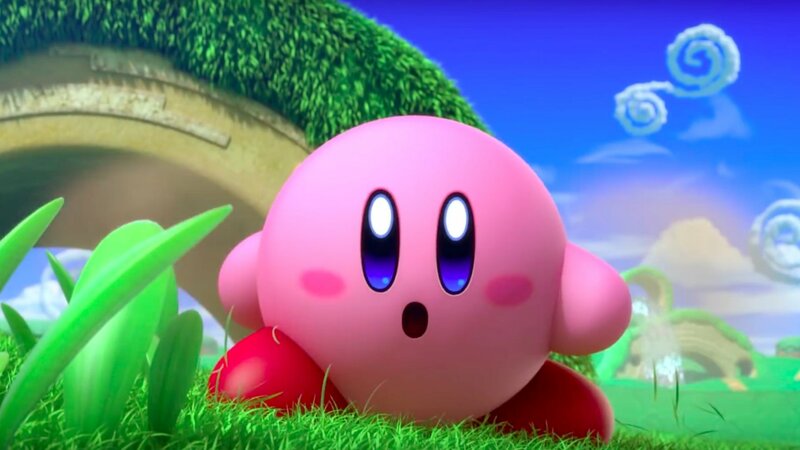 With his fetching pink colouring and ridiculously-sized feet, and even his super-squishy, jelly-like, wibbly-wobbly ways, Kirby is the absolute epitome of family-friendly fun. Now, take a moment to read that sentence back for just a moment ("super-squishy, jelly-like, wibbly-wobbly ways") as we reveal that everything you've known up until this point is a lie. 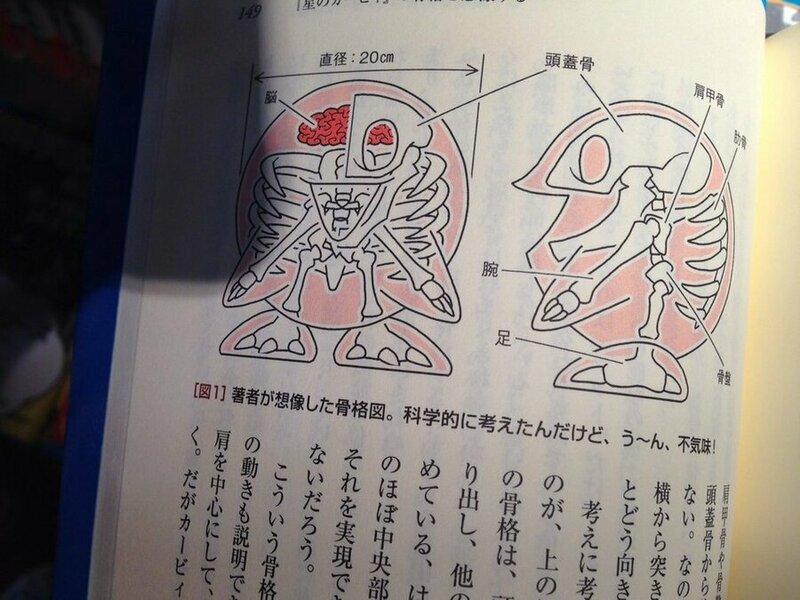 That's right, folks, Kirby has a skeleton - an actual, full-on skeleton - and now we don't know what to do with ourselves. The image has reportedly been taken from a Japanese artbook and has been circulating online today, presumably disturbing anyone who sets eyes on it. As you can see, Kirby also has a brain (which we'll accept) but we have to question how he can possibly distort into all sorts of shapes - while transforming into bricks and generating an endless supply of hats out of thin air, no less - with such a rigid inner frame. We were convinced he was made up of at least 98% jelly. Also, his toes actually look like little claws - if Kirby really does have a skeleton like this, we can only assume that Sakurai-san gave him shoes so that he wouldn't terrify the children who would go on to play his games later on? Chilling. As always, feel free to share your thoughts on this in the comments below. Also, we're sorry. Wow, thanks for the nightmares jerks lol. Nintendo is so weird sometimes I love it! Isn't that super old..? I feel like I've seen that exact picture ages ago already. Must have very stretchy bones. Certain types of snakes can dislocate their jaws to eat animals larger than they are. Kirby’s more snake-like than Snake. So he's a stretchy little dinosaur hiding under a marshmallow? I DONT CARE!! ITS A COMPUTER GAME!! It's just like with Zelda games and the storylines, sorry just enjoy the games instead of trying to link them up or in kirby's example above explain his skeleton. And his ribs look more like wings - though I guess that allows for his inflating stomach. Speaking of, where are the other organs? That reddit post is 3 years old! I guess my childhood is ruined. Is Kirby the new guest star in a mortal combat? Did they need to invent a skeleton for Kisby so his bones can be broken? NoPE NoT dOInG tHiS ToDAy!!!!!!! I don't believe it, that is. "Deep down inside me like my skeleton bones?". Then how would he squish and stretch? False! Then again, good thing you guys did some digging and found out it wasn't official. That thing is terrifying! Smash Bros has already confirmed that Kirby does not have a skeleton. Electrified fighters will display a skeleton, except for Kirby, and Jigglypuff. I think someone needs to get their eyes checked-- those toe bones clearly don't extrude beyond the flesh, therefore they wouldn't look like claws shoes or not. Nintendo might have a...bone to pick with the artist. Oh good, it wasn't true. I was about to question everything I knew. @Bunkerneath Don't spoil the fun just when we're getting down to the bones of the matter! Guess a Direct is really due when NL publishes and then josses two news pieces within one day. Sooo... he's not just filled air? We all know that a black hole is inside Kirby. Nice try! I never thought about it until now, but I feel Kirby is more likely to be releated to the space creature from the movie Life who tissues act as sensor, muscle, and neurons all at once. does majin buu have a skeleton too? Interesting! Too bad it’s not official. First it's that naked Link in an official artbook, and now this. You guys need to be quiet, this is nothing compared to this abomination! 20cms in diameter? Seems a bit small, I would say he is at least 40cms wide. 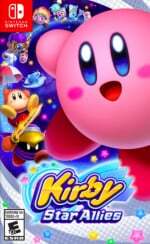 Kirby ate so much but has no back orifice? At least Yoshi pooped them out as eggs.